The masterclasses are an opportunity for you to work a little deeper, looking more into the areas of yoga that we may just touch on in class. They are a way of helping you develop your own practice at home, or just time to learn something new. The classes are suitable for everyone, unless stated otherwise. Please book onto the days as soon as possible to make sure you secure your place. Contact me. Yoga of Nature. In autumn 2018 we had a Yoga of Nature class and this is building on that where we will look at the elements and tattwas and bring those into our practice. I am still developing the plan so will keep up dating…but it will be a wonderful session. My plan is to give you lots of ways of incorporating yoga into your daily life, whether you call it yoga or not. Suitable for those with a years experience of yoga. Investment for you is £15. Summer Rocks…we will be moving, gentle flows suitable for those who have at least a years continual practice. Themed around the warmth of summer…even if it’s wet!! Uplifting pranayama and finishing with a wonderful yoga Nidra. Yoga & Summer Meditations...still pondering but am thinking meditation based around the summer. 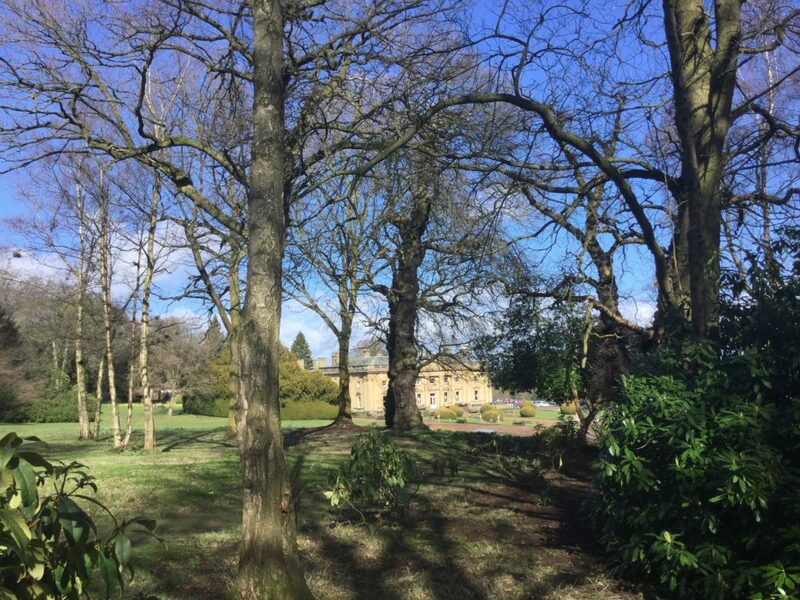 Wortley is a very popular venue for my yoga retreat weekends as it is set in 26 acres of beautiful gardens and woodland, all of which we try and use! It has a warm, welcoming feeling, with many hidden charms. All the rooms have ensuite facilities and the food is nourishing and lovingly made. This is a retreat weekend so there will be yoga classes all day, but you can do as much or as little as you like. Come and use the time to develop your practice, be with like minded people, or just to let go. The theme this year will be on Colour. This includes accomodation, all food and yoga teaching. Travel and insurance costs are not included. To book your place please contact me. You will need to make a non-refundable deposit of £100 per person, and the final balance will be due by January 26th 2019. If you would rather pay via BACS, please email me for my account details. A weekend of Yoga, Nature and Nuture! This will be our second visit to this beautiful venue and part of Derbyshire. We have uninterrupted views over the River Derwent to Curbar and Frogatts Edges. The accomodation is spacious, beautifully done and luxurious! All rooms are twin en suites. Aside from the main living area, there is another room which will be our therapy room, as I have arranged for a massage therapist to join us. The games room will become our yoga studio; and there is plenty of outside space if the weather is behaving for us to practice outside too, even down by the river if we can. There is a fire pit and I do hope we can have an evening ceremony one night. There could be a yurt for us by then too! And, I am hopeful my wonderful friend Sue will be bringing her gong. This retreat is for 3 nights. All food will be gluten free and vegan as I have asked Dena Smiles of Probiotic Love to do the catering for us. The investment for the weekend is £350 per person and includes all tuition, accommodation and food. The massages are extra and will range from £30 to £40. 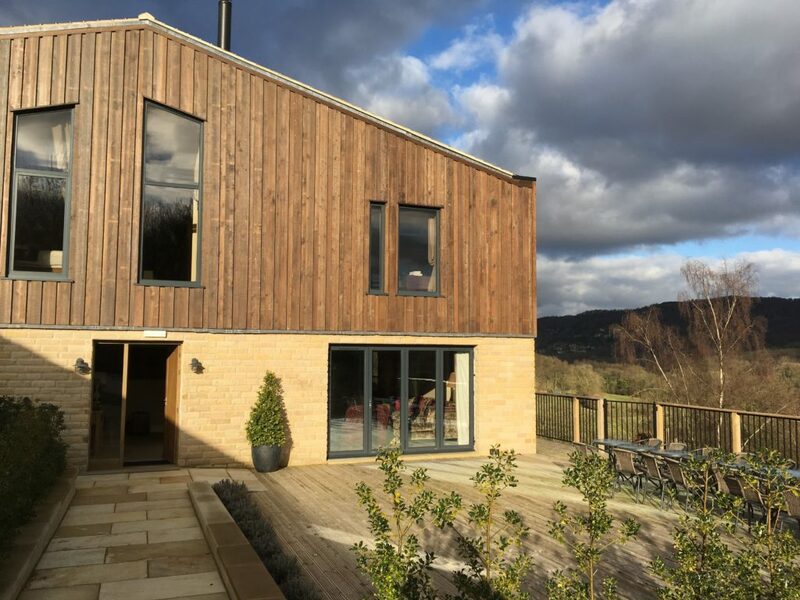 The Cattle Shed is in Grindleford, Hope Valley, Derbyshire and we are only 5 mins drive from the railway station…on a line that runs between Sheffield and Manchester…so easy to get to. The proposed itinerary will be: early morning yoga, breakfast, 2/3 hours walk, lunch, rest or massage, more yoga, evening meal and restorative yoga before bed!!! I may have to change things to suit the weather. And if you just want to sit and read and enjoy the views that is fine too. If you would like to book a place please contact me for full details.